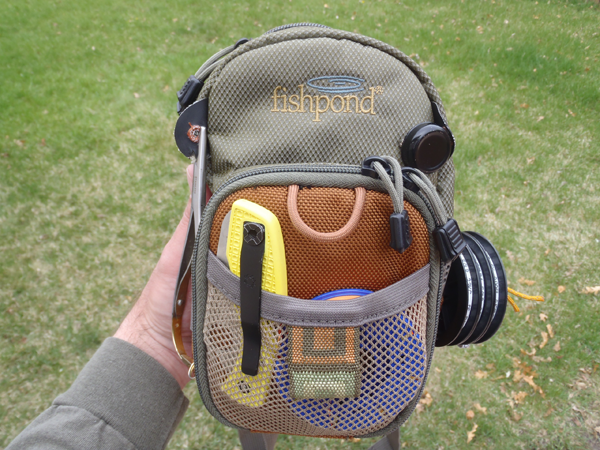 Right out of the box, I loved my Fishpond San Juan chest pack. I’ve had it for about 2 years now and during that time, I’ve discovered a few tricks that make this great pack even better. I wanted a way to be able to pull out tippet material without having to dig through a pocket so I came up with a very simple DIY dispenser (learn how to make your own here). Now, I’m able to quickly pull off the right length of tippet with one hand and get back to fishing a little sooner. 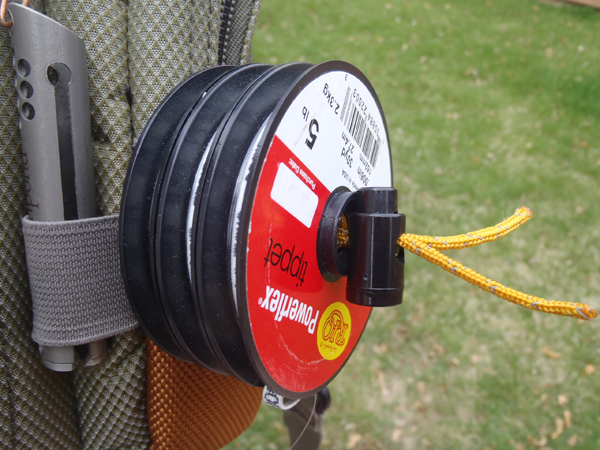 And if you add Shark Tooth line minders to the spools, you can pull off and cut the tippet with one hand. No nippers required! At first, I had my zinger and line cutter attached to one of the provided accessory tabs. But I found by moving it down a bit, it easiily slides into an elastic loop below that is intended to hold a floatant bottle. This prevents it from clanging around (I hate that metallic clanking sound) and disrupting the sounds of nature around me. The zinger is aimed straight down for the least resistance in the direction of pull and is very easy to slide in and out of the elastic. It’s almost as if it were custom made for my Fishpond clipper. If you watch the video I linked to in the first paragraph, you’ll notice I originally used forceps which I threaded through a loop on the side of the pack to keep them from swinging around and catching on things. I then simply clamped them to one of the accessory tabs. I soon realized that it was awkward to get my finger and thumb through the forceps’ finger loops and it required too much pressure to unclamp. So, I switched out the forceps for mitten clamps (much easier to open and close) and instead of threading them through the loop, I attached a zinger to the bottom of the pack. Now, when I attach the clamp to the accessory tab, there is just enough tension on the mitten clamp to keep it flush to the pack and not flop around. This makes it much easier to deploy and return the clamps. The last thing I want to worry about when I’ve got a fish in my hand is fussing with my hemostats. The San Juan (and I think every Fishpond chest pack) comes with a slotted foam insert in the front pocket to store flies. 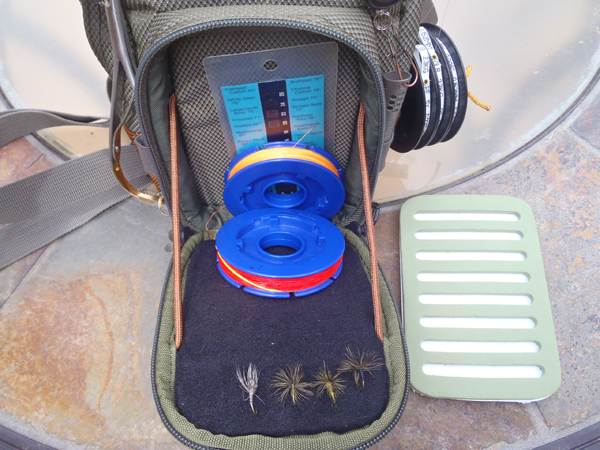 I keep my flies in my fly box so I never really had any interest in using this feature. Also, contents inside the pocket can smash or dislodge flies in the foam. Luckily, it’s removable. Surprisingly, this actually gave me noticable extra space for extra line spools or other miscellaneous gear. And, I’ve found that I can still stick some flies in the remaining Velcro to dry them off before returning them to my box. I always put them near the very top of the pack so they don’t get smashed by the line spools. If you have a San Juan chest pack, you might find some of these tips useful. 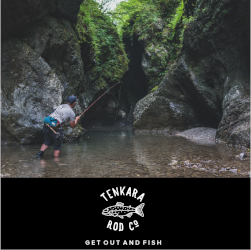 If not, maybe this post will inspire you to take a closer look at some of the design elements on your pack and see how you could incorporate them into a better on stream system. 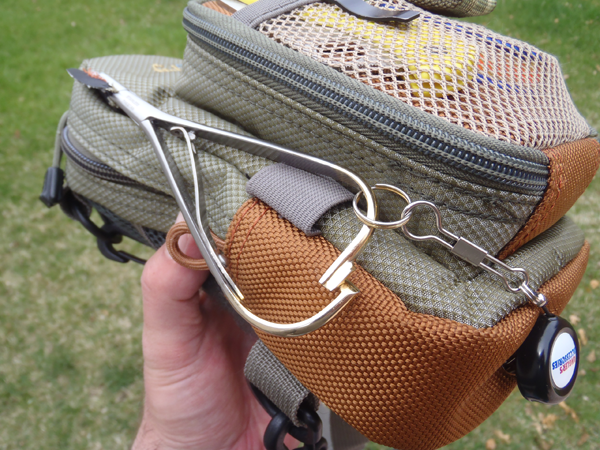 I find the Badlands “everything pocket” to be an easier to use alternate . 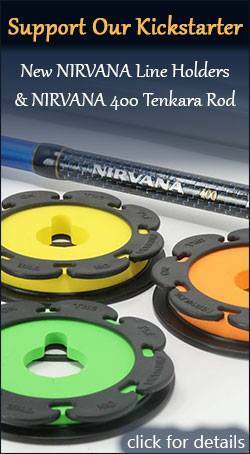 Fits on your wading belt and will circumnavigate your body with ease. 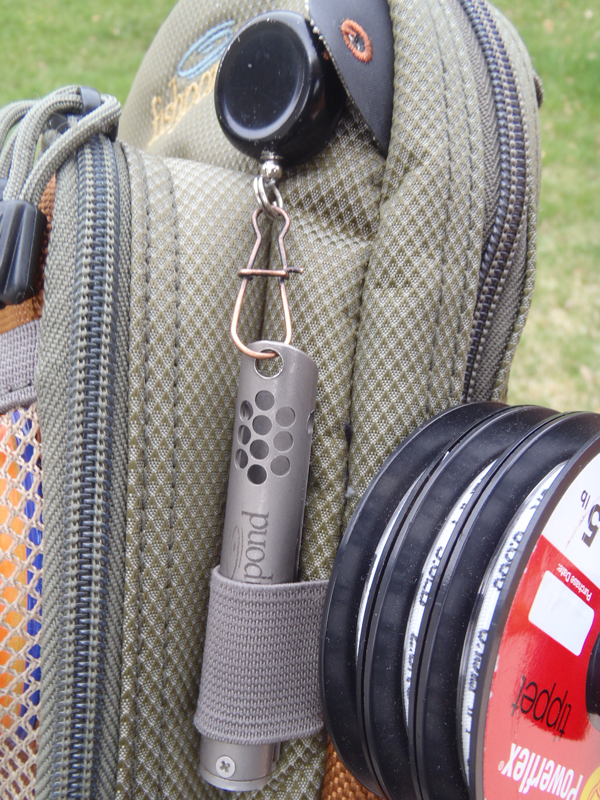 Fishpond and Badlands are made by the same company. Nippers and hone on a thin cord loop around my neck…. ( always needed quickly) and the hemostat attaches to my hat brim or shirt collar( hanging straight down and ready to hand). My hand would not easily come out of the San juan if I had a sizable box or spool in it. I have used a San Juan for 5 years and now find it troublesome. Also, when the pack is fully loaded, I can imagine what buxom women must go through during the day. That’s why the make vanilla and chocolate I guess…everything isn’t for everyone. 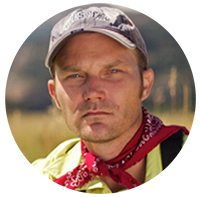 Jason, I was looking at Fishpond USA’s website and they sell a padded “replacement” chest pack strap for $7. I have a love/hate relationship with chest packs and have yet to find one I really like. Same thing goes when it comes to fanny packs. The only one so far that I like is Recylced Waders Big Fanny. 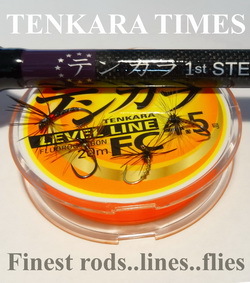 By the way, I am in the early stages of trying Tenkara and have enjoyed reading your blog. 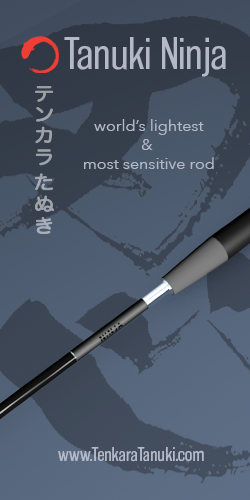 I have a friend who is going to lend me his TUSA Iwana, so I can see if this is something I want to get into. I am 64 and have been fly fishing a long time. Hi Dave, thanks for letting us know about the padded strap. I’ve heard several people say they wish it came with one so it’s good to know you can buy one separately. 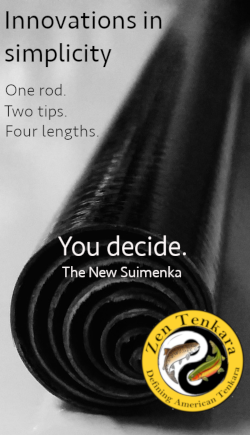 Let me know if you have any questions on tenkara as you get going.